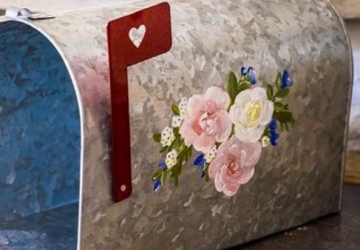 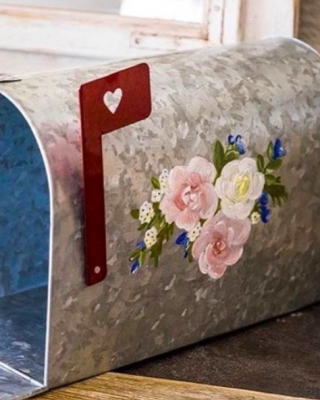 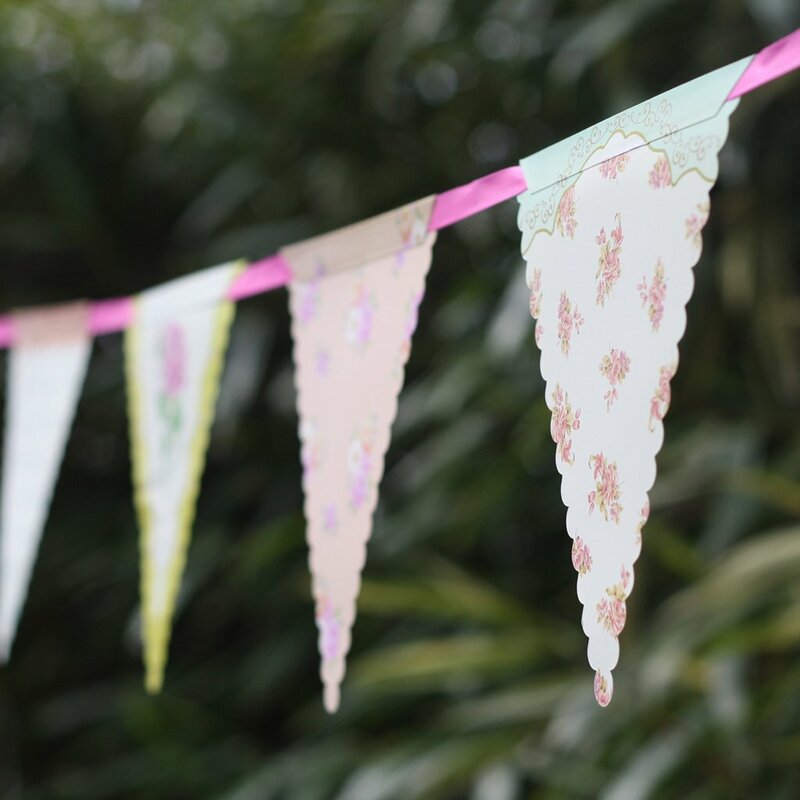 Bunting is a classic for a reason – it’s one of the easiest and quickest ways to add a decorative touch to a space, and it won’t break the bank, either! 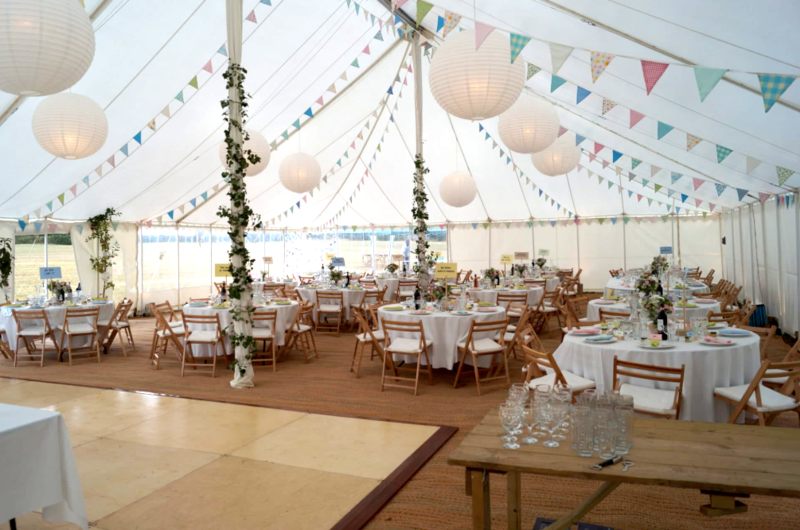 Bunting works particularly well in marquees as colours and patterns will pop against the light canvas, so embrace it and hang bunting in your wedding colours or a pretty vintage floral. 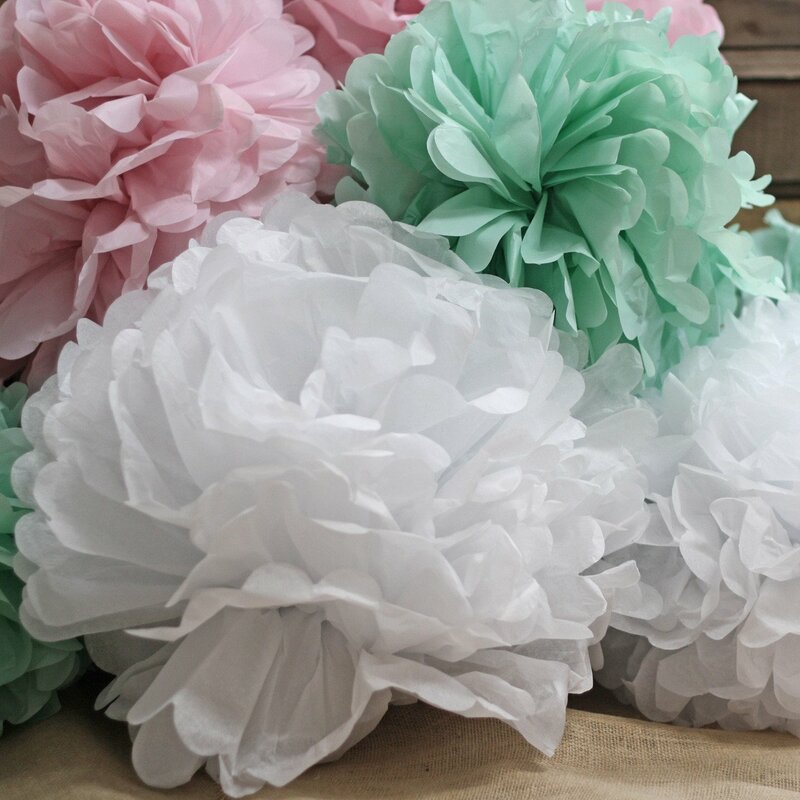 Another favourite hanging decoration to use in marquee venues is the paper pom pom. These playful decorations come in plenty of shades, are easy to put together, and can instantly bulk out other hanging decor such as bunting or fairy lights. 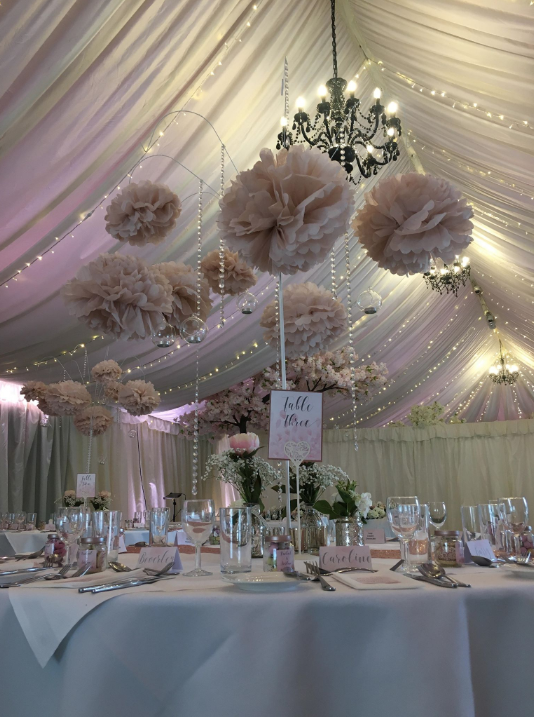 As well as hanging them from the ceiling, using them on other decor elements such as the bar or centrepieces can be a great way to tie it all in. 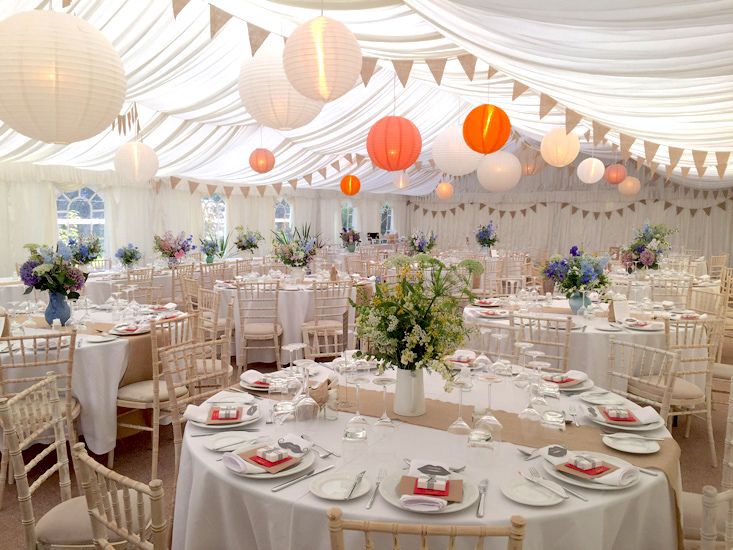 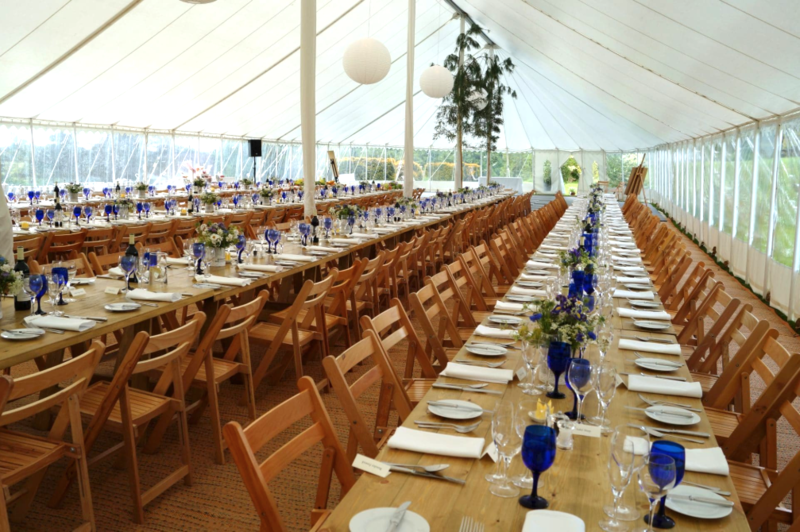 One of the great things about marquee venues is that they’re so versatile and can work for any wedding theme. 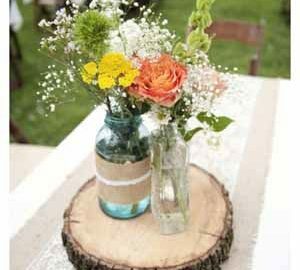 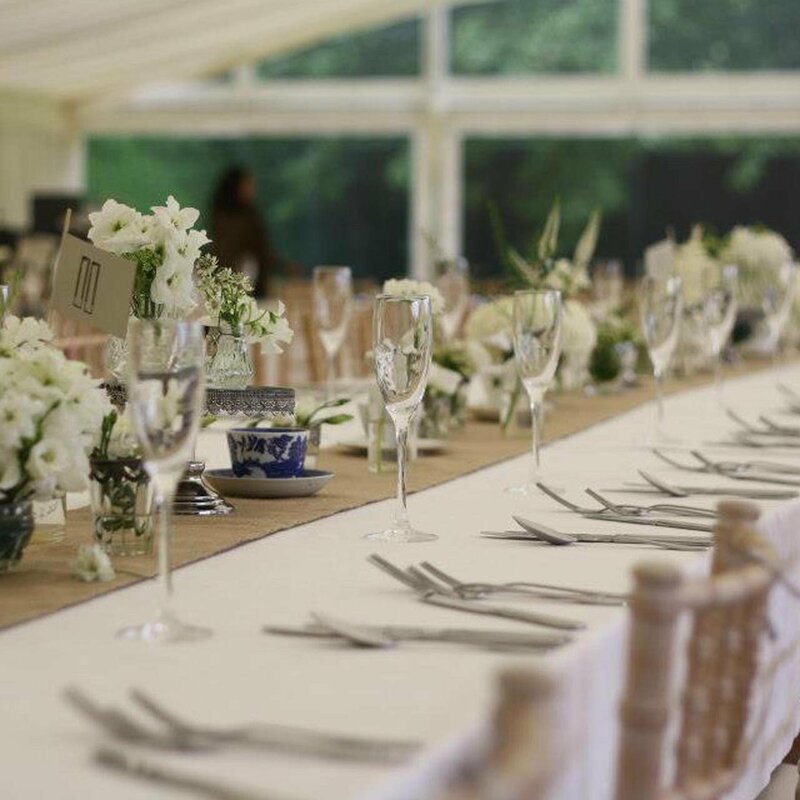 If you want to create a rustic feel in your marquee, then adding natural textures such as wood, twine and hessian is the perfect way to do this. 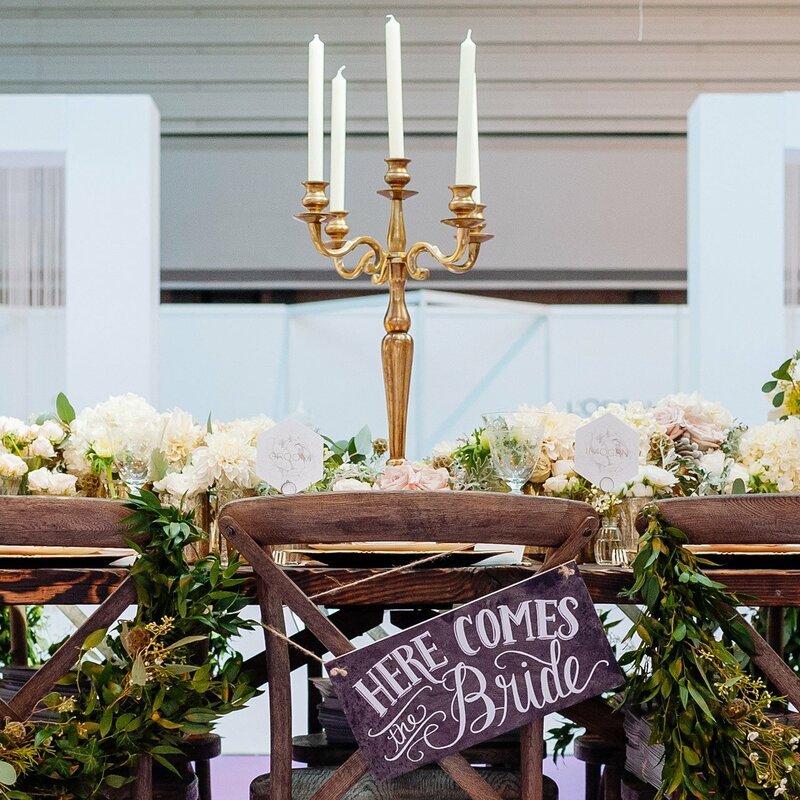 We love the look of these lace-lined hessian runners, and they work on both rectangular and circular tables. 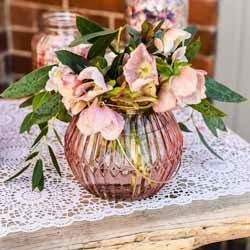 If you want to add colour to a plain marquee space without overdoing it on the hanging decorations, then coloured glass is a chic and unexpected way to do this. 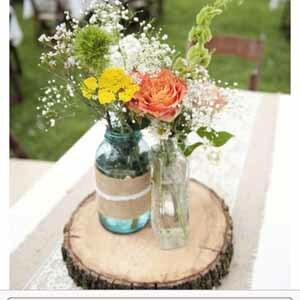 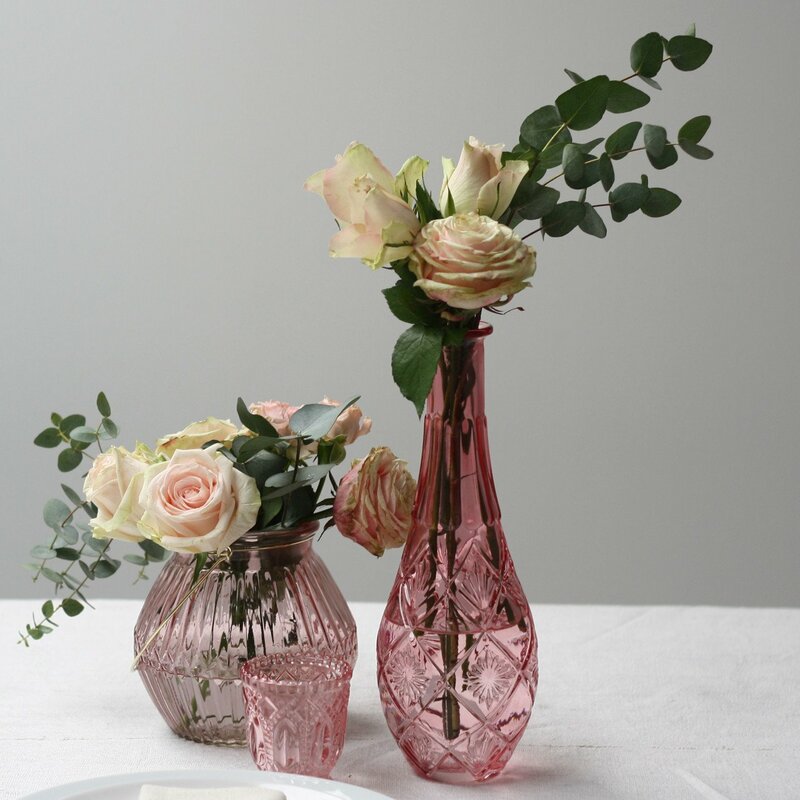 Whether it’s colourful drinks glasses or multi-coloured glass candle holders or vases for your centrepieces, these pieces are sure to add a fun pop of colour to your decor. 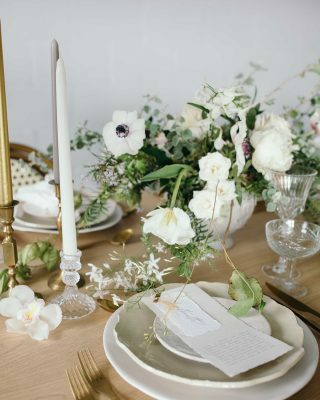 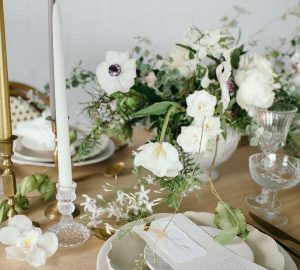 Not only do tall candle arrangements on the tables look super elegant, but they also add height to your decor and stop the space feeling too empty. 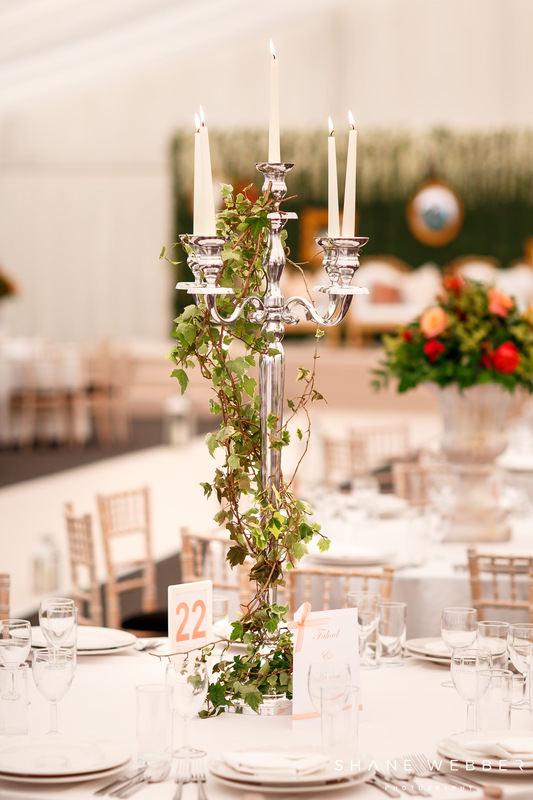 Candelabra can be left simple or decorated with extra hanging touches – just make sure that your marquee venue is happy for you to use real candles first! 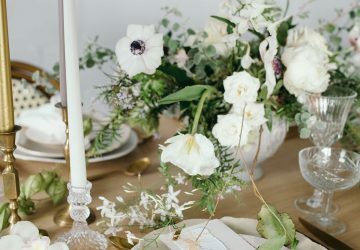 If you’re still hunting for your dream wedding venue, take a look at Guides for Brides’ wedding venue directory!